This was our first home buying experience and it was a great one. Matt was awesome throughout the entire process. He and TJ were very friendly, answered every question we asked thoroughly and met with us at any time of the day during the search process. It was all so smooth and seamless. Many of our friends have recently been in the process of home buying and have told horror stories, we are happy to say we don’t have any to tell! 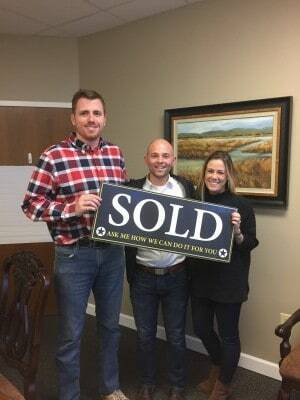 Matt and TJ went above and beyond and were very patient, you can tell they are passionate about what they do and care about their clients. I will definitely be referring Matt to friends and family! We are very happy with our home and excited to start this new chapter in the Triangle. Thank you! We got our Dream Home Under Asking Price!